It's been quite sometime since I did a post on anything! Yeah, times are crazy, especially when you have exams. But now that they are over (which also reminds me that I have some entrance exams this month) I can happily blog away. The weather has been acting quite weird this year, with rainfall in the konkan region in April, which means NO 'Pure Alphonso Mangoes' (Yeah! I don't like anything but Alphonsos, That's called being a true 'Konkan Patyachi Princess' LOL). But, this post is not about mangoes! We are discussing something else. We all love our 'Good hair days'. We love using different kind of hair products to make sure that your hair gets everything it needs to keep looking good. But very few people invest in good hair tools, especially combs and brushes. We have seen women carry a small comb in their make up pouches and even men, removing a teeny weeny plastic comb from their pockets to set a few stubborn strands straight. But is that pocket comb enough to keep bad hair days away? Think again. In this post, we will concentrate on the needs of a good comb and Top 5 combs you must own. A good comb is a must if you want your hair to look good and maintain it that way everyday. The market is filled with tons of combs and we tend to pick up any comb thinking all of them do the same job. But the fact is, every comb available in the market has it's own pro's. No matter what hair type you have, it is very important to have combs with various spacing between the teeth. As buying all the combs in the market from the Styling, Dressing, Wide toothed etc range won't be possible for everyone, here's a quick look at some combs that should become a part of your 'Essentials' kit. A styling comb is a must. Styling combs are very useful as they can be used for lots of hair styling routines. These fine toothed combs can also be used to apply products to your hair. 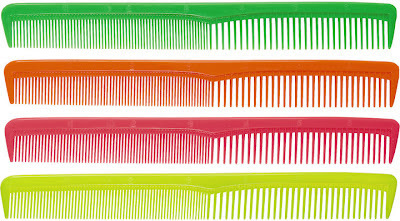 I love these All purpose styling combs by Krest! These neon colors can make any vanity table look colorful. Dressing combs are found almost everywhere. Most of us own these combs in different styles. 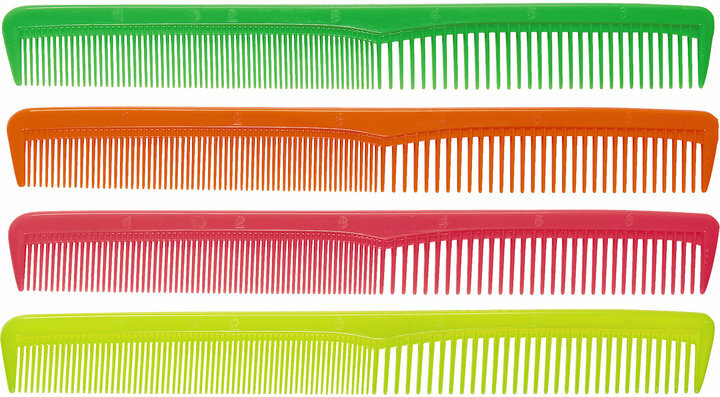 These combs are available in different shapes, most popular one being the standard fine toothed dressing comb. It's just about perfect for all aspects of hair care. 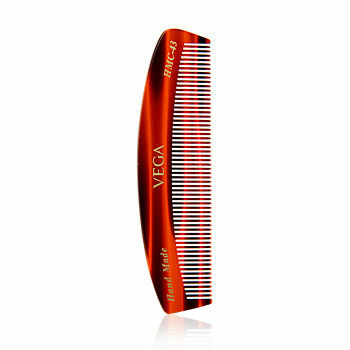 The Vega dressing comb, available for Rs.110. A good bargain! Ah! What would you do without this comb? Combing your wet hair with any other comb spells 'Damage'. Wide tooth combs are perfect for de-tangling wet hair. Also, it's perfect for dressing out a perm and combing through curly hair. 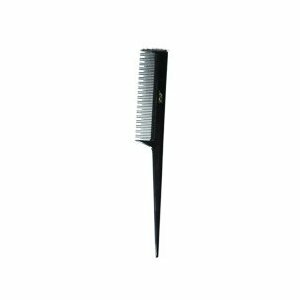 The extra wide tooth combs work best in combing and de-tangling wet and dry hair. According to hair experts, an extra wide tooth comb is a MUST have for all hair types as it prevents hair breakage and damage when your hair is wet. Running late for a meeting and your hair is wet? Need to de-tangle and comb your hair before you leave? Get a Wide/Extra wide tooth comb now! We all love experimenting with hairstyles. Making partitions and sections becomes easier with the tail comb. The comb and tail portions work together simultaneously in your hand as you part, section and comb the hair. They also work well on wet hair (comb gently). It can also be used for teasing your hair (Teasing is a method of combing your hair backwards). The tail can also be used for gently dressing out curls from rollers, perms or heated irons or tongs. Some hair experts swear by the Ace Teasing tail Comb, available for anywhere between $4 to $11. You can also try the Vega tail comb, available for Rs 60! We all love style on the go. So, a good pocket comb is a must. It's your answer to looking good wherever you are. I mean, who would want a messed up hair after that crazy cab or a rickety rickshaw ride? But, you must make sure that your pocket comb is made from a good, sturdy material (this applies to all the combs you buy). It can be used on all hair types. So, don't forget to keep one in your Office bag, College bag or your pocket. 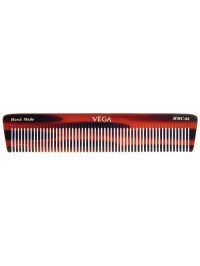 Vega Pocket Comb (available in different designs and shapes) available for Rs 40! So, now that you have a good enough list of combs to buy, you need to make sure you take good care of them. Who would want combs that adds old dirt back into your hair? Dip your combs in a soapy solution made with mild detergent or a shampoo and then using an old toothbrush, brush the comb from base to tip. This helps in removing all the accumulated dirt. 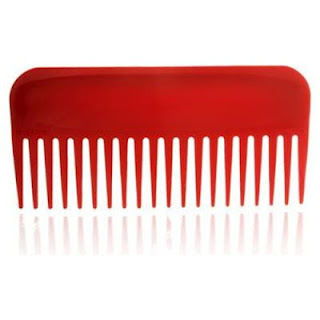 Before trying this, make sure you remove all the hair strands (if any) that are accumulated in the comb,especially in the case of fine toothed combs. If you don't have any old toothbrush around, you can also use an old handkerchief or 3 ply plain tissues. After this, dip your combs in warm water twice before cleaning it with a dry napkin. Remember to clean your combs once in every fortnight! Have you shopped for a new comb or a set of combs recently? If yes, Do share with all of us. Follow @priyaadivarekar on Twitter for Urgent queries! 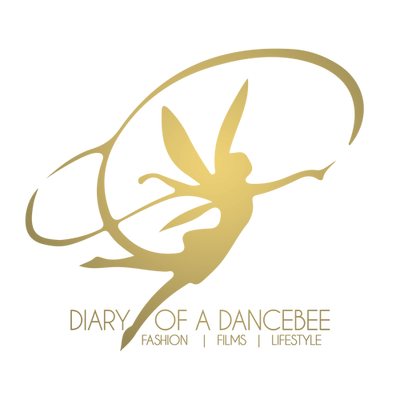 P.S: New post on my blog is up! Thank you Shalini di :) I loved your new ladylike look post!